If you're a bride looking for something small and intimate, here is a great example from David Beahm Design that incorporates a little fall color into an un-wedding wedding look. 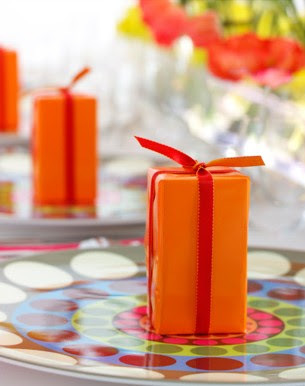 Fuse the color of the season orange with a punch of brights for a little pick me up! Image via David Beahm Design. 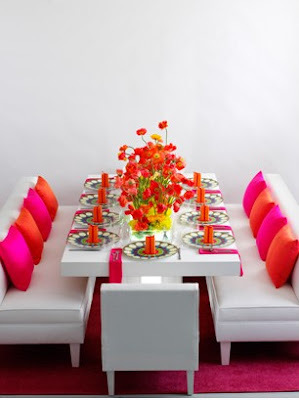 I love the combination of the bold colors :)...very cool!